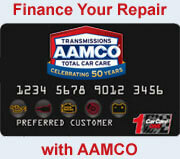 For more than 50 years, Aamco of Las Cruces has provided customers with the best car care in the area. We are your local family-owned and operated, one-stop shop for all of your automotive and transmission service needs. Our trained specialists work on all vehicle makes and models, so you can bring all of your family’s cars to our shop. We are especially well-known for our lifetime warranty on most auto and transmission repair services because we believe in doing quality work that lasts. If you’re looking for the best car service Las Cruces has to offer, look no further! We have built long-lasting relationships with customers like you for many decades by treating each vehicle as if it were our own. Our team of technicians and transmission specialists are extremely experienced and pride themselves on providing detailed, accurate auto service. No matter what problem your vehicle may have, we will diagnose the issue and make the appropriate repair recommendations if needed. Give us a call today and see why we are the choice transmission and auto repair shop in Las Cruces! These are great people that provide great service. In the entire Las Cruces area, I wouldn’t go anywhere else. – Donald S.
You just don’t come across business that put so much kindness and concession into the job these days. 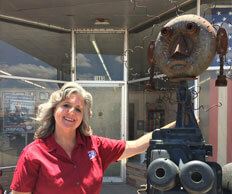 I’m so grateful to the Las Cruces Aamco guys. They truly are ‘as good as it gets’. – Cheryl T.
Since 1968, Aamco Las Cruces has been family-owned and operated and is one of the few second generation Aamco service shops. Current owner, Richelle Ponder, bought the business from her father in 2000 and has made great improvements since acquiring the business. She has added on two bays (creating a total of nine), purchased new tire equipment, among many other beneficial changes. Richelle constantly improves the shop to better serve customers and their vehicles, and our team is proud to serve the Las Cruces community. We have continued to have many of the same customers over the years, not only for the quality of our work, but also for the great customer service we offer. Our shop has a large, comfortable waiting area stocked with coffee, tea, and even a wood stove for chile stew during the cold winter months. We believe in treating our customers like family and keeping you informed about what your vehicle needs to continue performing its best. Stop by today and our staff would be happy to help! © 2019 AAMCO of Las Cruces. All Rights Reserved.